First mentioned in 1865 under the name of "Rochwood House", Dall Lodge Country House, located next to the banks of the river Lochay and close to the stunning Loch Tay, was inhabited (and probably also built) by a Captain MacDiarmid. It was thereafter owned by various prosperous people, often acting as the Factor of the area. In the 1960s the house was turned into a popular hotel and was operated as such until 2003 when the previous owners ran it as cozy a Bed & Breakfast. We, Monica & Roman, took over Dall Lodge in 2015 and since than we welcome guests from all over the world. We are originally from Switzerland but fell in love with the Highlands of Scotland the first time we visited this magical country and soon afterwards decided to come and live here. Now we want to share this magic of the scottish Highlands with you and we hope we can always make you feel welcome in our cozy historic victorian country house. Dall Lodge Country House is located directly at the A827 in the beautiful village of Killin. With distances of less than 2 hour drives to Stirling, Edinburgh, Glasgow, Perth and Dundee, Killin is located directly in the heart of Scotland. 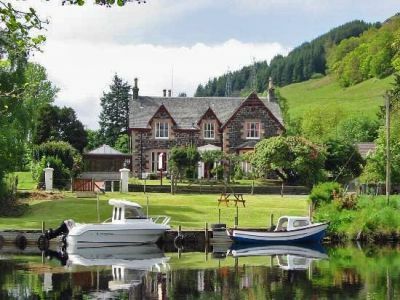 We offer an excellent Bed & Breakfast accommodation in our lodge which is less than half a mile away from Loch Tay, one of Scotland’s biggest and most beautiful Lochs, well known for its tasty salmon and the many different animals living around the Loch. All our rooms have a traditional, comfortable and clean interior with all bed sizes. Our guests also have access to a well equipped guest lounge with games, books, DVDs, TV. Also, the beautiful breakfast room with stunning views to the river Lochay and the mountains around Ben Lawer and many Munros can be used. A private riverside garden which comes with a free license for fishing for trout completes our proporty. For relaxation after a busy day, all rooms include tea and coffee-making facilities, Wifi and a TV with DVD player. Dall Lodge Country House makes the ideal base for those keen on outdoor pursuits like cycling, walking & hiking, water sports, fishing, climbing and golfing. A good local infrastructure with bike and canoe rental, restaurants, pubs and shops will help to make your holidays easy and enjoyable. 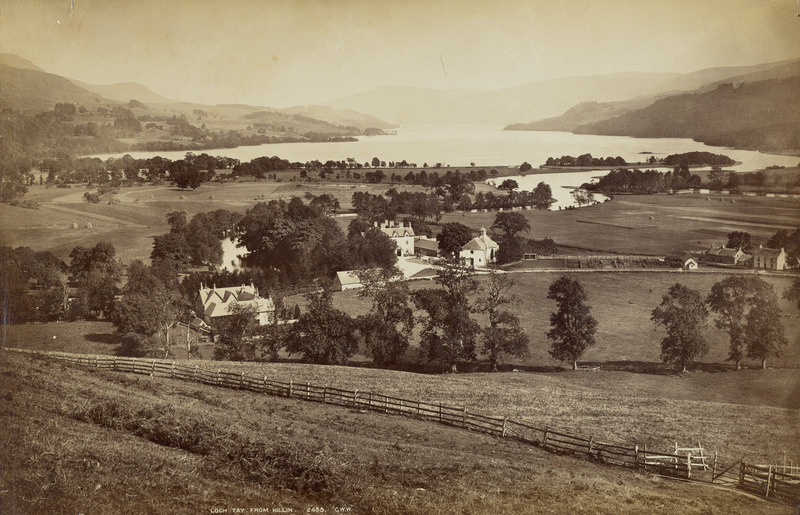 Many interesting historical sites can be visited in and around Killin. 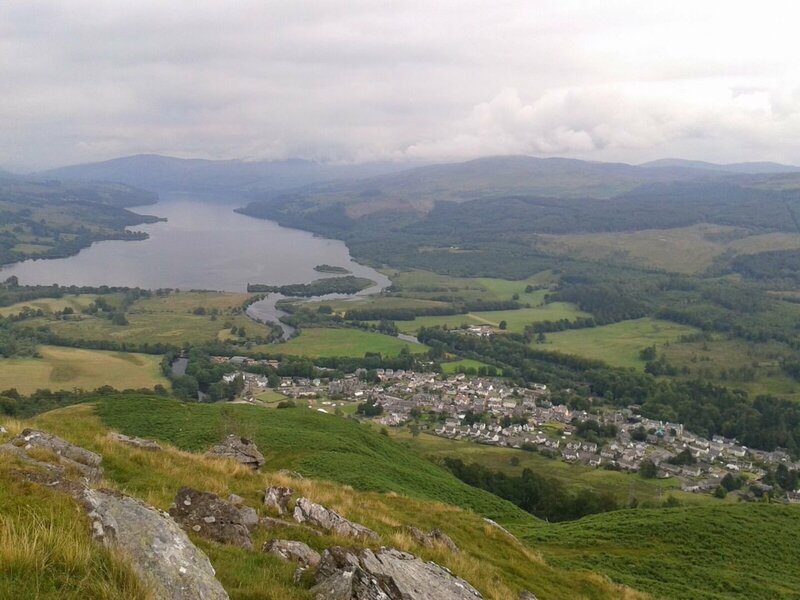 A serene walk to the graveyard of Clan McNabb, the ruins of Finlarig Castle, The Old Mill, the old town of Lawers, the Crannog Centre, Taymouth Castle - just to name some! Being located in Central Scotland means a very large area of this diverse and fascinating country can be reached in day trips.